This Okapi Reliance Machete has a 18.2" blade with a black coating and an orange polymer handle. 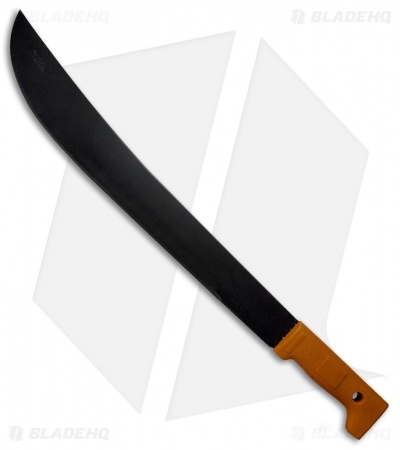 The Reliance machete offers a deep curved belly for slicing, chopping, and cutting. It has an injection molded polymer handle with an ample lanyard hole at the base. 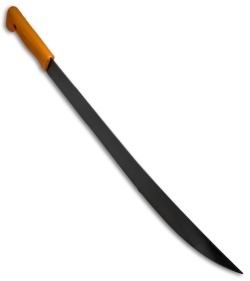 The blade is made from tough 1055 carbon steel for a sharp and reliable blade edge. The Okapi was a traditional knife originally produced in Solingen Germany for export to German colonies in Africa. Okapi Knives has become an institution in South Africa, building off the traditional designs with a focus on functionality and affordability. Add a classic machete design to your line up with the Reliance Machete from Okapi knives.